More than 85% of our funding to date has come from everyday people who believe in what we do, chipping in what they can, when they can, to allow us to facilitate more and better conversations about climate change. Powershop is a 100% online energy retailer. With us, you know exactly how much electricity you are using and what it costs, as you go. We want to give you control, help you save, and we care about the environment. In short, we’re a better power company. Independent and not for profit, we’ve been campaigning to look after Victoria’s environment since 1969. With more than 40 grassroots member groups and 100,000 individual supporters, we’re a growing community of Victorians standing up for a safe climate, healthy rivers and a sustainable future. 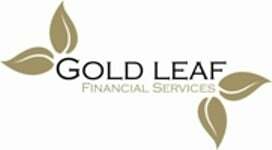 Gold Leaf Financial Services helps people manage their finances, feel more financially secure, reduce stress on relationships and improve their quality of life. We provide quality strategic financial advice to help people reach their dreams, look after their families and support causes they care about. Thanks to Hello Idea for providing some of the graphics for our website! Ethical Investment Services is one of Australia’s longest-standing financial planning firms, specialising in offering advice to clients who prefer to invest ethically. By providing ethical investment solutions, we feel we are taking action to change the world’s financial priorities while encouraging others to be part of the solution. The Australian Geographic Society is a not-for-profit organisation dedicated to supporting scientific research, protecting and fostering a love for our environmental and natural heritage, encouraging the spirit of discovery and spreading the knowledge of Australia to Australians and the world. 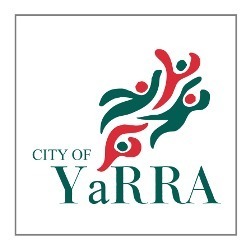 The City of Yarra is an inner metropolitan municipality which is home to a diverse community of about 94,000 people. Yarra's 19.5 square kilometres include the suburbs of Abbotsford, Burnley, Clifton Hill, Collingwood, Cremorne, Fitzroy, North Carlton, North Fitzroy, Princes Hill and Richmond. Parts of Alphington and Fairfield - south of Heidelberg Road - are also included in Yarra.